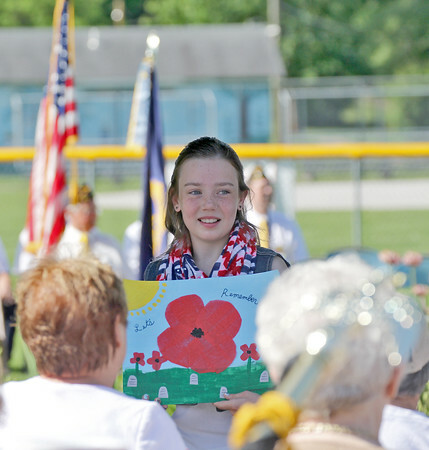 POPPY WINNER: Kaleigh Steimel, 11, showed her poster to the audience at the Memorial Day ceremony held at the Tom Johnson Memorial Park in Thorntown. Steimel was announced the winner of the Auxiliary Poppy Poster contest held each year to honor the memory of the fallen soldiers. Poppies have been used since World War I as a symbol of remembrance.